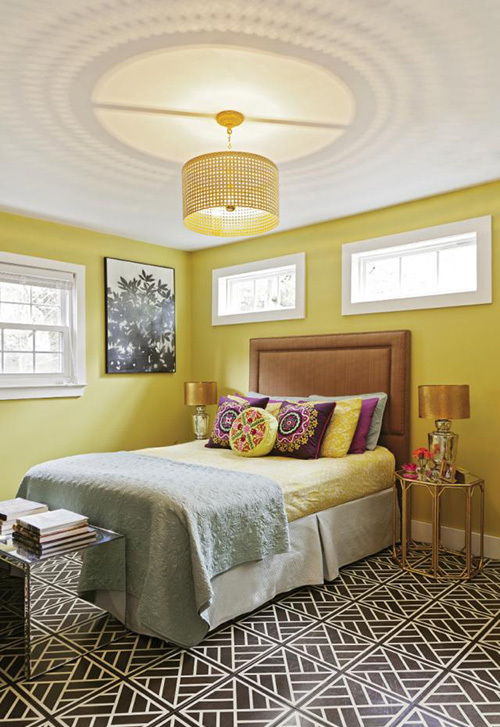 Sally was up for the challenge as she had run an interior design and decorative painting business in NYC for ten years prior to her move down South. In her desire to transform her new home, she devised a way to combine current technology with printed hand-painted patterns. The end result, on engineered hardwood tiles, was so stunning, she knew she was on to something good. In March, under her newly formed company, Mirth Studio, Sally released her first line of decorative tiles that can be installed as full floors, borders, inlays to existing floors or kitchen backsplashes. 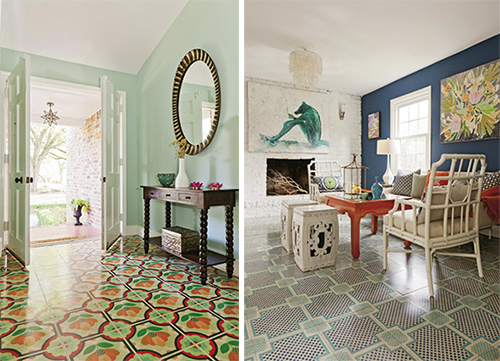 These are simply gorgeous designs that make me want to redo my entire house. This entryway to the left leaves me speechless. I am so head over heels for it, I think I'm going to put this pic on my inspiration board, next to my beach house pic and believe it into existence. Can't hurt, right? Sally's tiles start at $18.50/square foot, available in 12, 15 or 24 inch squares. I've picked a few to showcase here but she has over a 100 patterns on her site to sort through and salivate over. Custom tile work is available too, which is perfect for those who like the idea of dreaming up their own pattern. 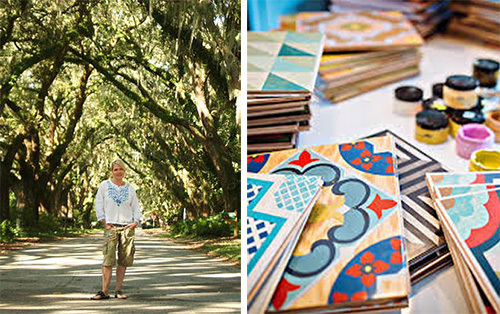 For a new idea and a new business, her site and subsequent wood tile collections are incredibly impressive. I hope to talk to Sally one day as I place my order for new tile- from the beach house of course. Until that day arrives, I'll be laying the groundwork, piece by piece..